With powerful mastering tools now available to everyone, it’s easy to do more harm than good when self-mastering. With powerful mastering tools now available to everyone, it’s easy to do more harm than good when self-mastering. Although you’re always better off going to a true mastering engineer, sometimes that’s just not in the budget. 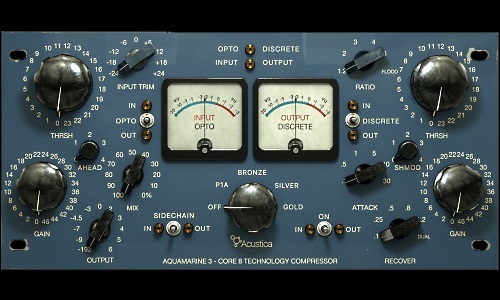 Here are a few mastering compressor tips that can also apply to mixing from the 4th edition of my Mastering Engineer’s Handbook that I don’t think you’ll find anywhere else. Adjusting the Attack and Release controls on the compressor and/or limiter can have a surprising effect on the program sound. It’s a secret weapon of mastering engineers but often overlooked musicians and engineers attempting to do their own mastering. — Slower Release settings will usually make the gain changes less audible but will also lower the perceived volume. — A slow Attack setting will tend to ignore drums and other fast signals but will still react to the vocals and bass. — A slow Attack setting might also allow a transient to overload the next plug-in or piece of equipment in the chain with an uneven mix. — Gain changes on the compressor caused by the drum hits can pull down the level of the vocals and bass and cause overall volume changes in the program. — Pumping can be desirable under certain circumstances for a mixer, especially when set to the tempo of the track, but it’s an unwanted artifact during mastering. — The more bouncy the level meter, the more likely that the compression will be audible. — Quiet passages that are too loud and noisy are usually a giveaway that you are seriously over-compressing. It’s easy to make a mix sound worse instead of better when self-mastering, but that’s less likely to happen by observing the above items. You can read more from the Mastering Engineer’s Handbook and my other books on the excerpt section of bobbyowsinski.com.